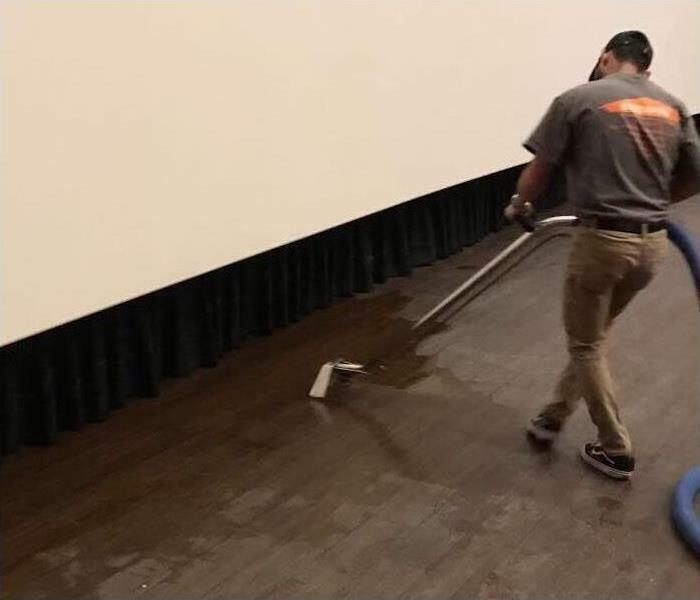 A little professional knowledge and the right equipment can go a long way to restoring your floors and your peace of mind. Your hardwood floors are the stars of your decor. Rich warm tones and a gleaming patina bring glances of envy and admiration from all who have the pleasure of walking on it. So what do you do to protect the color and finish in the event of a pipe burst or flood? Pipes break, sprinkler systems go on the blink, and toilets flood, so chances are you may have to deal with water on your wood floor at some point. Knowing ahead what to do can save headache and expense and potentially save your floors, and understanding what can happen to wet wood is the first step. The first and most important thing to do following a pipe burst is to remove the water. Whether you choose towels and mops, a shop vacuum or fans, getting the water off the surface of the wood is critical. Remove water and moisture from the deeper layers to prevent warping and buckling of the floor. Even a wooden subfloor is in danger of damage if allowed to remain wet. It may be necessary to take a section of the floor up to dry out the boards, then have it reinstalled and refinished – still cheaper than a new floor. Navigating all of these details can be difficult, especially if you have no experience. There are water restoration professionals in Las Vegas, NV that can come and assess the damage and get right to work mitigating the damage and working to save your wood floor. If you experience a pipe burst, get the help you need to bring your wood back to its original state. A little professional knowledge and the right equipment can go a long way to restoring your floors and your peace of mind. If your building’s air smells musty when the ventilation system is running, then you might have mold in the ductwork. Your Las Vegas, NV commercial building’s ventilation system helps regulate comfortable temperatures for your employees and customers. However, it can also house unwelcome guests, such as hair, mildew and, most worrisome, mold. If your building’s air smells musty when the ventilation system is running, then you might have mold in the ductwork. An HVAC cleaning can help resolve this issue, but there are a few steps you can take until professional help arrives to resolve the issue permanently. Mold spores exist naturally in the air and can travel into your building on shoes and other clothing. These spores are usually harmless and do not multiply unless they find a moist, humid area in which to eat and grow. A ventilation system’s air ducts can provide this type of environment, especially during wet or hot weather, where spores may travel from the outdoor unit’s condenser. Temporarily turning off the HVAC system may prevent further contamination. If you suspect a mold problem in your ventilation ducts, scheduling an HVAC cleaning with a professional service is usually the best solution. However, you can act on your own until then by vacuuming out your building’s cooling vents and heat registers. Use a vacuum with a HEPA filter and a long hose to reach into these spaces. Cleaning vents thoroughly may give you a head start on removing mold spores from your building. Connecting with an experienced mold removal and restoration service can be a necessary step when it comes to eradicating fungi hiding in your building’s ventilation ductwork. 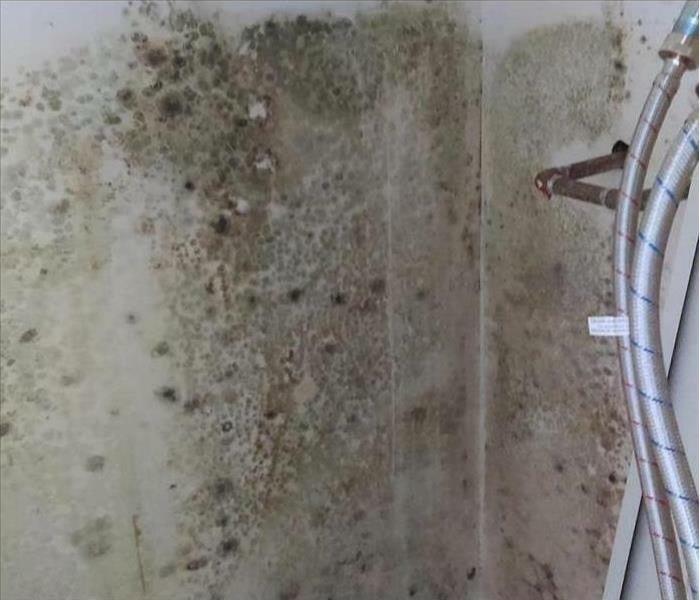 Certified techs often have the means to clean these areas and remove mold with processes specifically designed for that purpose. Your Las Vegas, NV commercial building likely houses your greatest investment. When mold invades its ventilation system, knowing the steps to take, including calling for a professional HVAC cleaning, can be vital for the future condition of your property. It’s often helpful for business owners to know what happens after a fire, what restoration includes and how professionals can prevent damage. A fire in Las Vegas, NV can devastate businesses, and not understanding what the fire restoration process entails can frustrate business owners. However, knowing details about restoring a building after it has been affected by a fire can make the process of restoration easier for everyone involved. What Happens After a Fire Affects a Commercial Property? In addition to rebuilding services, restoration after a fire often includes preventing more damage from occurring. 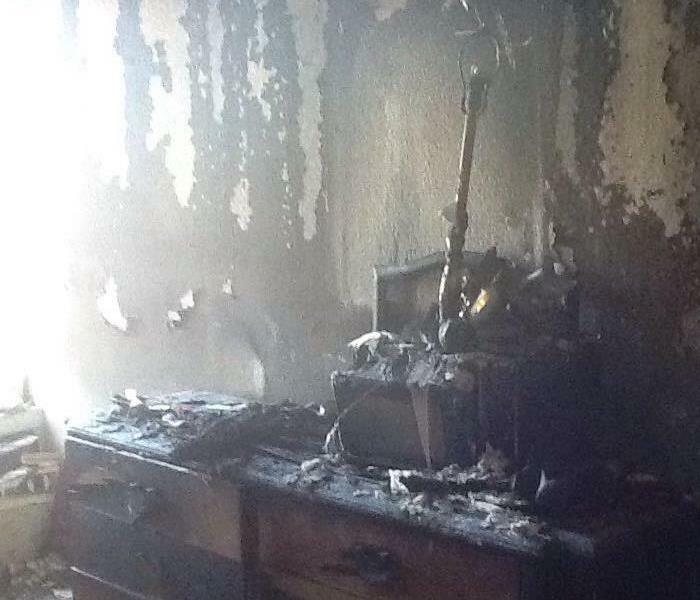 Water damage is often an issue after a fire and can be caused by sprinklers, water from hoses used to put out the fire or floods that occur after a fire. Professionals can take steps to remove water from a building when the fire is extinguished, which can prevent water damage and mold growth. Additionally, board-up services can protect a building from wind damage and can deter would-be thieves from entering the building. It’s often helpful for business owners to know what happens after a fire, what restoration includes and how professionals can prevent damage. Overall, learning more about the fire restoration process can improve business owners’ experiences as their properties are restored. Choose certified mold removers with the proper IICRC verifications and you can rest assured your restoration job will be done right the first time. After discovering mold damage, it’s natural to look online and go with the first remediation company you find. However, not every company will give you the best result. Some, if they aren’t certified, can even lead to your insurance company rejecting your claim. If you are up against fungus growth in your Las Vegas, NV home, a certified mold removal company is the only way to ensure the best outcome. Working with a certified mold cleanup company may cost a little more up front, but it’s worth the cost to save countless dollars on time and repeat work. You can also avoid the general frustration at a subpar job. When you’re looking at a mold ravaged room that needs to be cleaned quickly, standards of ethics might not seem important. However, these standards have real-life implications on your cleanup job. For one, a company with mold certification has established itself as having the highest amount of knowledge and experience, so you know you are working with professionals. Because they’re compelled to be accountable to maintain certification, you can be sure they will work hard to resolve whatever problems arise, rather than leave the job half done. Water damage can be daunting but working with a certified mold remediation company can make it a little less so. Choose certified mold removers with the proper IICRC verifications and you can rest assured your restoration job will be done right the first time. Contact a water damage repair service within the first 48 hours of a clean water spill in order to prevent worsening damage. There are also several other unsafe chemicals and foreign objects that have led experts to create a system to categorize types of water. This type of water is most likely the result of a faucet overflow, broken water supply line, or household appliance malfunction. Keep in mind that although it may not be contaminated water, environmental conditions or the amount of time lapsed can cause the water to elevate to Category 2 or 3. Contact a water damage repair service within the first 48 hours of a clean water spill in order to prevent worsening damage. Possible sources of grey water can be from appliance discharge, broken sump pumps, and toilet water mixed with urination. Due to rapid growth of bacteria and mold, cleanup should begin as soon as possible to prevent elevating grey water to Category 3. This type of contaminated water is primarily composed of sewage backup containing human and animal waste. It may also source from rivers, streams and oceans, which are often known to contain bacteria, fungi, and unsanitary chemicals. 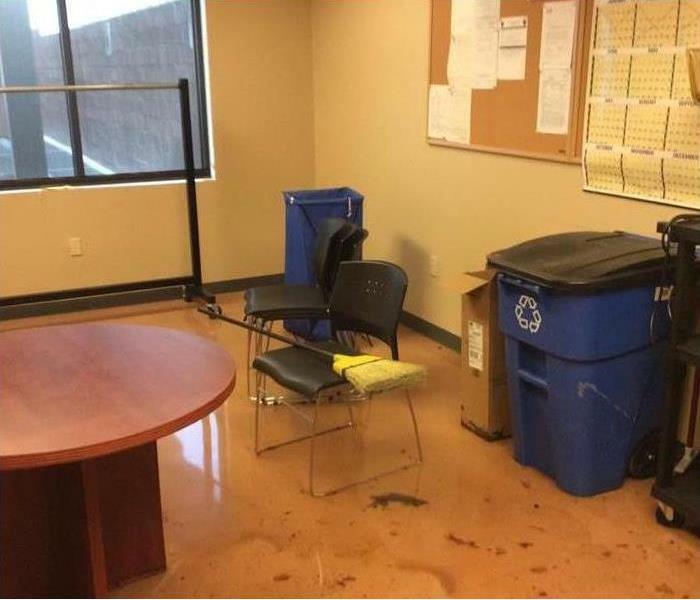 Contact a cleanup service immediately when this type of flood is discovered. Identifying the category, whether clean, grey, or black water, is crucial in describing the damage to a professional in Las Vegas, NV with the proper tools and training to remove contamination and repair your property. SERVPRO of Northwest Las Vegas is the premier restoration company to hire in Las Vegas, Nevada. Our team has the experience and training to handle any size water or fire loss in the local area. On most losses it is important to make sure that each step of the process is properly documented. This can include taking plenty of photos, notes, and any other information that can be useful for your records. This can be critical if there is something that needs to be referenced during or after the loss. SERVPRO of Northwest Las Vegas prides itself in making sure every loss is done quickly and efficiently. We understand how important it is to get your home back to pre loss condition or your business ready to be back in operation after experiencing a major loss. What Makes SERVPRO a Leader in the Franchise Restoration Industry? SERVPRO a leader in the restoration industry. With over 1,700 locations across the U.S. and Canada, there’s a reason why SERVPRO is one of the top disaster recovery and restoration companies in North America. By providing 24 hour a day, 365 day a year service, a guaranteed response to service calls within one hour, and a verbal restoration evaluation within eight hours of damage assessment, SERVPRO has remained a preferred vendor for insurance agents and adjusters since it was founded in 1967. 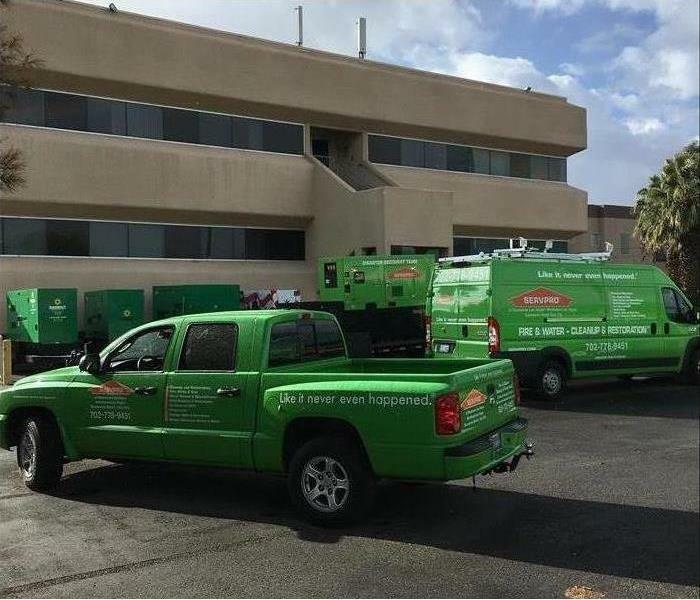 The unique business model of each SERVPRO franchise, including the one near you in Northwest Las Vegas, NV, is what makes them leaders in the industry. 1. Every SERVPRO franchise is locally owned. SERVPRO isn’t a giant, faceless corporation run solely by a boardroom full of CEOs and executives. It’s based on a franchise concept that allows everyday people to work hard and follow their dream of owning their own business and serving members of their community. 2. SERVPRO is a proven business concept. For over 50 years, SERVPRO has been helping franchisees achieve the American Dream of business ownership. It’s now the #1 ranked franchise restoration services company in the U.S., cementing an already stellar reputation that can only be earned through decades of helping investors achieve success and financial freedom. 3. SERVPRO guides its franchisees every step of the way. Becoming a certified SERVPRO franchise owner is easy thanks to a tried and true business model, which includes substantial training and expansion options. Franchise owners also benefit from the extensive branding that SERVPRO has already achieved thanks to its many years as a leader in the restoration industry. While insurance industry professionals have many disaster restoration vendors to choose from, only the SERVPRO franchise has earned a national reputation as the top company in its field. That’s why SERVPRO remains a leader in the industry over 50 years after its inception. You’ve found yourself in one of the worst situations most business owners in Las Vegas, NV, can imagine: Your building has flooded. Whether the water intrusion is from a storm or plumbing issue, there is no time to waste after flooding. Destructive mold growth can begin in 24 to 48 hours. Here are three steps to take in the critical hours following a flood. Drying is the most important step in the cleanup process and should begin as quickly as is safe after a flood event. All standing water should be cleaned up and removed by a commercial restoration service. Saturated items such as upholstered furniture should be taken outdoors to dry if conditions permit. Carpeting that has been exposed to flooding should be taken out of the building. Drywall that has been saturated will need to be cut away. Get as much air circulating as possible. Open windows and run air conditioning. Bring in portable heaters and consider renting a dehumidifier. Spores needs moisture to thrive. 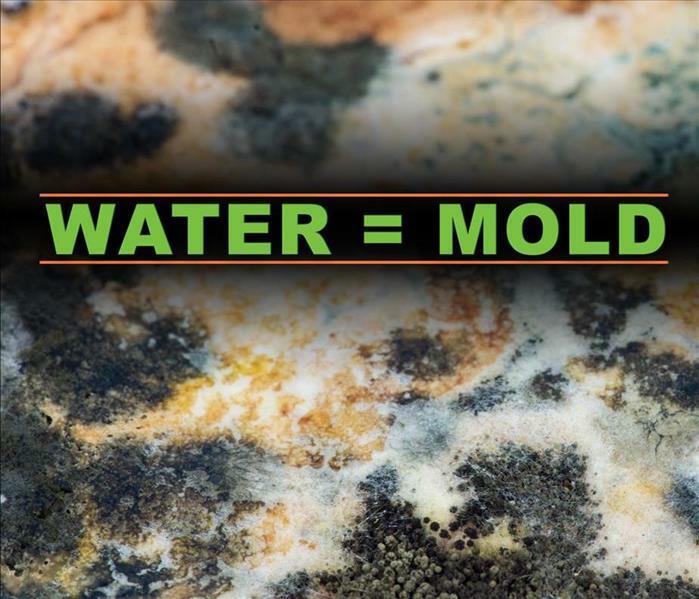 Removing the moisture quickly will help minimize mold growth. Some items, such as carpet and carpet pads, extremely saturated furnishings and cardboard boxes of printed materials will need to be thrown away. Be realistic with yourself here. Don’t keep items that you know will be damp for a considerable amount of time. Clean hard surfaces with a disinfecting detergent to remove harmful bacteria. If mold is present, scrub it off. You should dry surfaces promptly after cleaning. Porous, absorbent material such as ceiling tile and drywall generally can’t be cleaned once thoroughly soaked. Once mold has been detected in these items, it can be nearly impossible to remove spores. Minimizing potential mold growth following a flood can be a painstaking process. It is crucial to act fast, dry and clean thoroughly, then determine what property can’t be saved. Follow these steps to quickly return to business as usual. Keeping your Northwest Las Vegas, NV home clean can be a challenge, especially if you are dealing with lingering odors left by a previous owner. Some smells can be tougher to clean away than others, and there are few more stubborn than cigarette odors. Tobacco smoke can yellow walls and carpets and trap the odor, making it hard to eliminate completely. However, ozone cleaning is proving to be a successful method for home deodorization, and learning about its usage may help you remove offensive tobacco odors from your home once and for all. Before you proceed with home deodorization via an ozone machine, you may want to take a bit of time to understand how it works. Ozone molecules carry an extra atom, so when they are released into the air, they absorb lingering odors by attracting odor-causing atoms. The odor inside these atoms is then neutralized, which eliminates it completely. 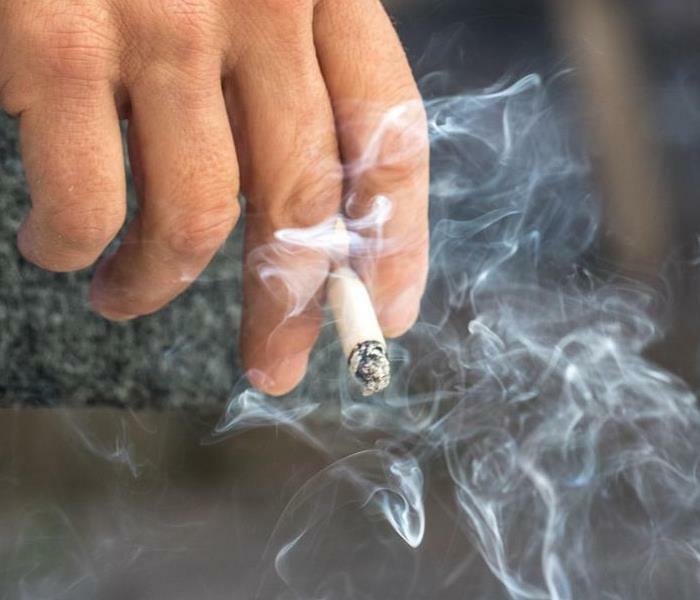 Cigarette smoke can become easily trapped in porous surfaces like fabric, so you may want to consider replacing your carpeting and drapes before you invest in ozone cleaning. This may reduce the odor and make an ozone treatment more effective. If you believe the smell is trapped in drywall, cleaning, repainting and sealing affected areas can be helpful with pretreatment. An ozone treatment can be quite effective when it comes to removing tobacco odors from your home. However, it is wise to have a fire damage and smoke restoration service perform one. Odor removal can be a challenge, especially when you are trying to eliminate it completely and prevent it from seeping back into your home later. A professional ozone cleaning can help to accomplish both. An ozone treatment can be a good home deodorization choice for your Northwest Las Vegas, NV property. Learning about this process before you begin may help you feel more confident about the results, especially when it comes to removing tobacco odors. Residential showers are the perfect breeding ground for mold spores, which thrive in a moist, warm environment. That’s why it’s important to act fast if you discover shower mold and take steps to eliminate it before it spreads. By utilizing a few simple cleaning tips, you can ensure your bathroom in Northwest Las Vegas, NV, is mold free in no time. 1. Use household cleaning products. A moldy shower can usually be remedied with items that are already in most homes. By mixing a cup of baking soda with a teaspoon of liquid soap and adding it to a little water, you can create a paste that is an effective mold remover when used with a scrub brush in the shower. A solution of one part bleach mixed with two parts water is also a proven method for killing mold spores. Simply spray the solution in the shower and scrub the affected area thoroughly until the mold is gone. spores before they spread. Improve the airflow and reduce humidity in your bathroom by installing a ceiling exhaust fan. If your bathroom has windows, open them for a few minutes after using the shower to ventilate the area. Store any bath and shampoo products out of the shower to avoid clutter that can trap moisture and promote mold growth. 3. Know when to call a professional. 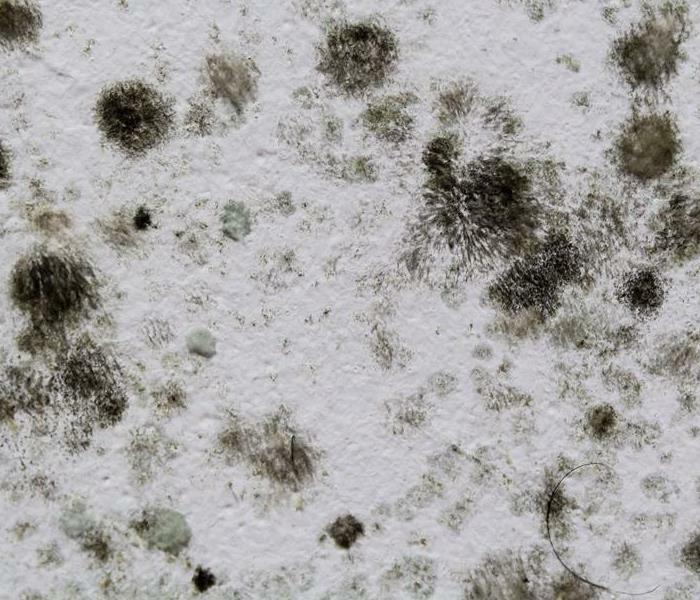 Some types of mold spores require the skill of a qualified mold removal expert. Stubborn spores that do not respond to standard cleaning measures may indicate the presence of black mold, which can be particularly destructive to building materials. A mold remediation specialist can properly diagnose the type of mold growing in your shower and formulate a customized removal plan with you. 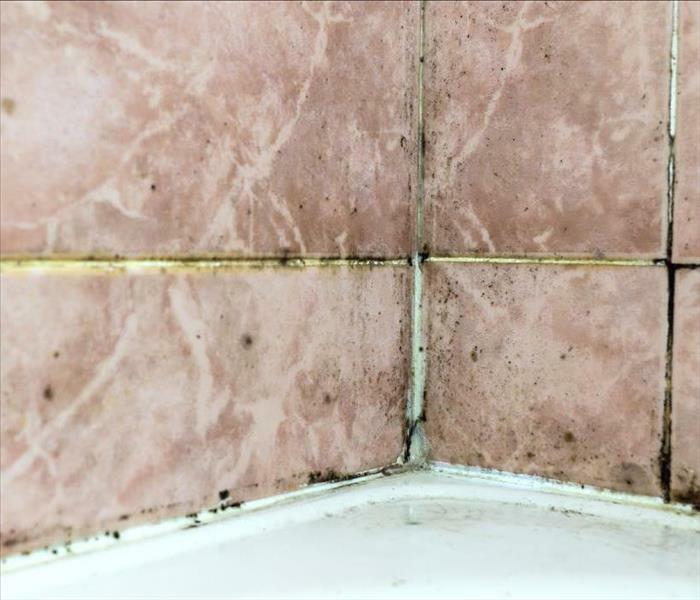 While shower mold can be an unwelcome sight in your bathroom, a few simple cleaning measures can usually eliminate it while preventing any regrowth. If that fails, a trained expert can assist you in removing persistent mold. 3/18/2019 - What Makes SERVPRO a Leader in the Franchise Restoration Industry?